A Day Without War Will Bring Peace To Humanity. Just like many other wars, Iraq War brought so much pain to many families. Recently too, on June 14th of this year, Israel and U.S were Coordinating How to Target Assad’s Arsenal In Syria . On this day,there was an option for The USA to go to war in Syria but majority of the country overwhelmingly opposed the war. We no longer ask for war, war creates chaos, pain and uncertainties in people’s lives. We often ask this questions, Is it possible for most people to go through life without any kind of hardships? As The Jewish War and The Victory, has shown us.This war not only brought sadness to the people, but a lot of lives were lost. including this young poets that lost his father.The death of his father brought so much hardship to his family that probably would not have happened. People that had never experienced hardship of any kind, may or may not make sense, especially when the narration was coming from someone who had experienced it first hand..
As a child, one of the best times I had, was reading from people that never had an easy life. Everything they had experienced or had gone through in life was real,normal, and that gave me hope. But as we all live through our life`s today, remember that not every one will go through life, experiencing pain. I do not wish anyone should experience pain whether by choice or through war. I hope that my children and other peoples children will not experience pain through any means. But for those who have experienced wars, fought in a war, witness any type of war, we thank them for stepping up when there was a need for that .For all the veterans who have either lost their jobs or homeless today, we all feel your pains. For most poets, pain wherever it may came from hurts their souls. 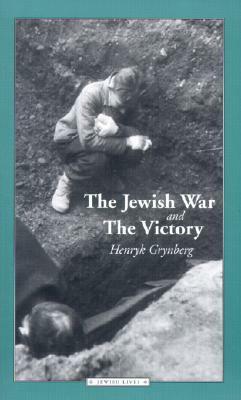 It creates uneasiness that only their hearts can endure.The Jewish war will make anyone cry as Henry k was recollecting his family’s ordeals, experiencing the war. Henry k ,Grynberg never minced words. in narrating his own family ordeals. According to him, ” His family moved through series of hiding places in the countryside, and when his father was murdered, he and his mother flee through Poland using forged papers. They also adopt a false life as the catholic family of an officer captured by the Germans, as told.in the book. Henry k also saw something good that came out of the war. A war without The Americans: There will be no war without The America people . If not for this country, a lot of children would have been suffering and in hardships. No country has done half of what this country has done when it comes to humanity. As we look at our lives today, let us continue to exhibit that human kindness. Appreciate all the people that has worked so hard in keeping us safe. Please today, as we move on, let us choose peace over hatred. Let us remember that any act of kindness will not be forgotten just as Henry k remembered years ago. pg 114 . Finally, thank you all for keeping us safe. Thank you all for remembering those who had fought for this country. Supporting our veterans is the right thing to do as their dedications speaks for itself. Like Obama said to the veterans today ” You are worthy of the sacrifices you all made to our country “. We support our veterans. God Bless America. Have you at one point experienced hardship. What book if any remind you of these life strange lessons? Previous Post Seeing Beyond Purlieu 1. This book made it hard for me to understand. We thank God we live in the land of the free. God bless this country.